Dr. Pinnamaneni Siddhartha medical college was established in the year 2002. PSI medical college has a dental wing too which was established in the year 2002. The college has been established to help the poor and the needy. The college is developed under the Providing urban facilities in the rural area (PURA). The medical and dental association of Andhra Pradesh established PSI medical college under the sponsorship of the Siddharth academy of General & Technical Education, Vijayawada. In 1975, Siddhartha Academy was formed to establish and run institutes in Andhra Pradesh. The academy has around 18 institutes under it. Dr. P. S. I Medical college has been named after later Dr.Pinnamaneni Siddhartha Institute of Medical Sciences and Research Foundation as he donated about 31 acres of land to this college on the national highway. Currently, Dr. P.S.I. medical college runs medical, dental and nursing colleges and the entire campus is situated well across 40 acres of land area. Dr. Pinnamaneni Siddhartha medical college is affiliated to NTR university of health sciences, Vijayawada. The courses offered are MBBS, MD, MS, super-specialized medical programs, and PG diploma programs. PSI medical college is a residential college with anti-ragging, counselling support, technical issues, hostel, healthcare services and counseling services. 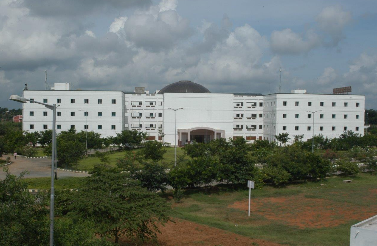 Amongst the facilities, the institute offers library, auditorium, sports, computer labs, cafeteria, laboratory, IT infrastructure, hostel (boys and girls), hospital, transport, etc. There are separate boys and girls hostel facilities with attached toilets in each independent room. There are also air-conditioned rooms provided in the hostels. There are single occupancy, double occupancy and triple occupancy rooms available as per comfort. There is food available for both vegetarian as well as non-vegetarian food eaters. There is a recreation room and gym for students to stay entertained and fit. The institute offers MBBS as an undergraduate course with 150 as total student intake. There are a total of 94 seats for PG courses under different specializations which are MD in Anaesthetiology, Biochemistry, Dermatology, Venerology and Leprosy, General medicine, Microbiology, paediatrics, pathology, pharmacology, physiology, psychiatry, Radiology, community medicine, tuberculosis and respiratory disease/pulmonary medicine, anatomy, obstetrics and gynaecology, ophthalmology, ENT, General Surgery, and Orthopaedics. Apart from this, the institute offers various diploma and post diploma courses as well. The teaching hospital has 790 beds in it. There is also a nursing college with 100 admissions. For candidates seeking eligibility to MBBS program, they need to appear in NEET UG entrance test. The admission is on the basis of merit score of the entrance test. The aspirants are required to have completed 17 years of age on or before 31st December, 2018. Moreover, the candidate is required to have secured an aggregate score of more than 50% marks in Physics, Chemistry, Biology/Biotech combined. The candidates can also seek admission through Andhra Pradesh NEET state level exam for MBBS admission. The day scholars can also take meals at the campus and they have a separate space to take rest in leisurely hours. There is also a central research laboratory which costs Rs 2crores to support research and development programs. There is central library and information centre with a 24 by 7 internet facility. For candidates seeking eligibility to PG program, they need to appear in NEET PG entrance test. The candidate must have completed MBBS from an MCI recognized college and must have completed the rotating internship of one year. Dr. Pinnamaneni Siddhartha medical college was established in the year 2002. PSI medical college has a dental wing too which was established in the year 2002, is located in Chinoutpalli in Krishna district, and is one of the most premiere medical institutes of Andhra Pradesh. The medical institute has a good research orientation with various national interdisciplinary workshops organized each year. The college offers a safe environment for the students to study. PSI medical is quite a popular choice amongst students in Andhra Pradesh. There are plenty of indoor and outdoor facilities too at the institute. It is a co-ed college and is reachable easily form all parts of the country.